He has been a huge fan of U2 since they began in the late 70’s. U2 has been a tremendous source of great inspiration and gyration many elements that U2 has provided for this world. 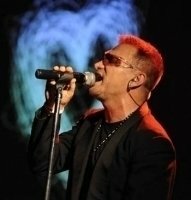 Aside from being a singer and guitar player like Bono U2 Tribute…he also plays original classical compositions and has been a staple performer throughout Southern California. His cds are sold in many places throughout the world. 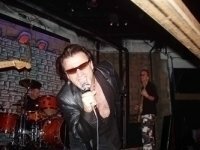 Being a natural performer with stage presence he does have a striking resemblance to Bono U2 Impersonator from U2 and is stopped on the streets daily for autographs and photographs. He also uses an Dublin Irish accent when asked if he’s “Bono”. 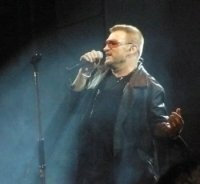 Never admitting he’s not the real “Bono”….leaving people to think otherwise. 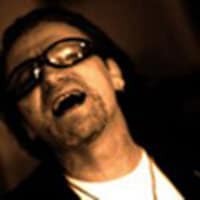 But the show of being a double is great as people really love Bono for so much of his work outside of music. He also sings in several U2 tribute bands. One in based in Southern California and another internationally based group out of Chicago.